All the proceeds will go towards his new yearly scholarship fund. Metro Boomin is no Donald Trump fan. 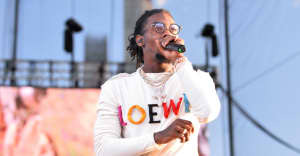 To make sure he doesn't end up in the White House, Boomin is having a one night show at The Playstation Theater in New York City. 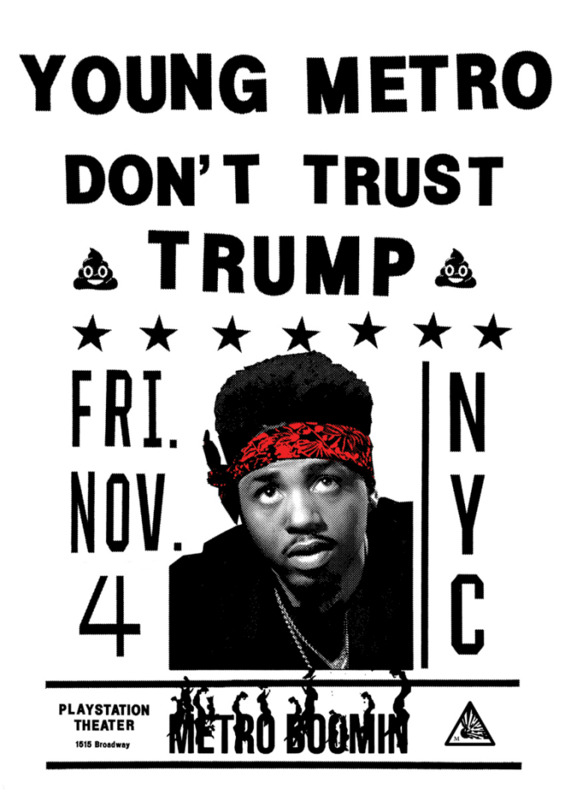 The Young Metro Don't Trust Trump show will go down on November 4, which is four days before the general election. He told Complex that he wanted to use his influence to show people it's not lame to care about politics or getting out to vote. "You can still be cool, and you don't have to be scared to speak up about political issues. The kids don't really know that." Metro Boomin will also be donating all the show's proceeds to a yearly scholarship fund that will send a graduating senior from the St. Louis area to Morehouse College. This is the same route he had taken before dropping out, and becoming the producer he is today. He told Complex all people take different paths and he wants to give a kid the opportunity to pursue a college degree. A pre-sale for the Young Metro Don't Trust Trump show will happen Thursday at 10 AM EST for those that sign up for his email list here. General sale tickets will become available Friday at 10 AM EST.